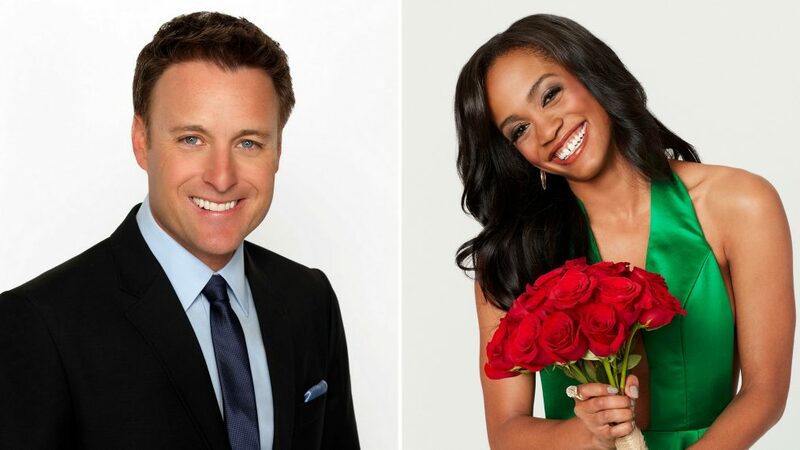 Producers of ABC's The Bachelorette knew fan-favorite Rachel Lindsay was the one, before Bachelor Nick Viall unceremoniously dumped her an episode before he handed his final rose to Vanessa Grimaldi. TV Insider spoke with host Chris Harrison about the gorgeous, Texan attorney and what viewers can expect in Season 13. This is the 13th season of The Bachelorette, and we’ve had 21 seasons of The Bachelor. Why has it taken so long to introduce a black bachelorette or bachelor? I think it’s really for a number of reasons—probably longer than we could do on a phone call—but there was no real reason in particular. I think the good news is that we’re doing it now and I’m really happy that Rachel, moreover, is just the right woman as opposed to the right African-American woman, or the right Asian or Latino, whatever. I’m just glad that we picked the right girl, and she was easily the best choice for the show. Why is Rachel the right choice to be the Bachelorette? Rachel, coming off last season with Nick, was incredibly popular with our crew, with the producers, with Nick, with the other girls, with the viewers. She struck a chord with everybody. She has the whole package, where she is obviously beautiful, but moreover, she is incredibly smart, very successful at what she does, has so many attributes and so many great things going for her, but there is that thing that’s been lacking, and there’s a thing that’s missing, and that’s the key component for The Bachelorette is they have to be a little bit flawed. … That’s where we come in. The show has always been best when we find that diamond in the rough, and I think the best way to describe her is she’s that diamond in the rough. 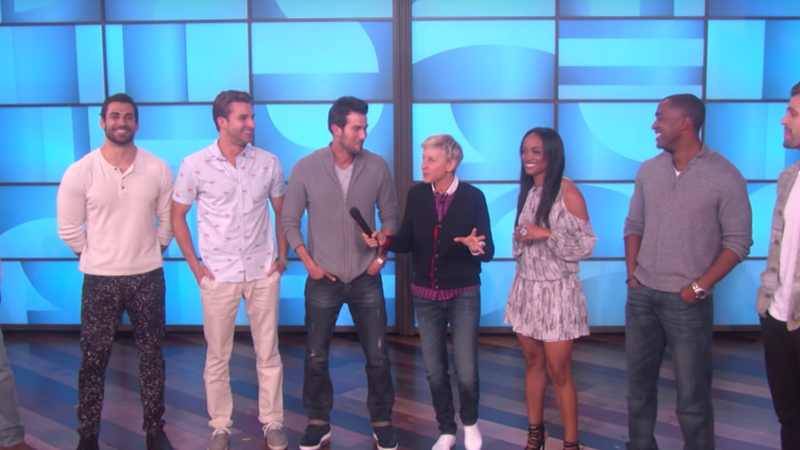 Rachel Lindsay, 'The Bachelorette,' also admitted to kissing one of the guys in the steamy 'Ellen' segment. What will America learn about Rachel on The Bachelorette that we didn’t get to see when she was on The Bachelor? You didn’t get to see her wicked sense of humor, and you don’t get to see just how strong she is and what an empowered woman she is. She is a really, for lack of a better term, a badass woman. You will really get to see that in full force. So what makes her appealing as the Bachelorette? Here’s what I find very endearing about her, just spending time with her, is that there is this professional side. She’s a lawyer. She’s smart. There’s all of that, which I think you know, but she has this charm and this charisma and this ability to really light up a room. When she walks into a room and smiles, she puts everybody at ease. Honestly, night one when she walks in the room and just smiles, everyone just lights up. When Rachel was announced as the newest bachelorette, she was still a contestant on The Bachelor. What’s the reason behind that controversial decision? It was something we wrestled with as producers, and obviously, we don’t want to ruin the show. That did, to a certain degree, for some people. I hated that. It’s just logistics and because of the calendar and the way The Bachelor falls, it runs right up to The Bachelorette. We literally start two or three days after we wrap The Bachelor. We were either going to bite the bullet and never announce Rachel, and then we would just go potluck with her as far as casting goes, or, we thought, “we have such a dynamic woman, let’s open it up.” We’re going to take a little bit of a hit on The Bachelor, but I think in the end we’d be more satisfied with what we’re going to get on The Bachelorette. It was one of those things where we’re going to lose a battle, but hopefully we’re going to win the war. After so many seasons of this franchise, what still surprises you about it? I guess just that it never gets old. And it never gets old for me, and it never gets old for the producers. I was at a rose ceremony last night and it was fantastic. We did have, in all seriousness, some drama happen and some things were pretty wild, and one of the producers and I looked at each other and I was like, “I love this show! I just love this show so much,” because it never gets old. I think that’s the reason it’s stayed relevant for 15 years and it’s been so good. Because if I’m sitting there after 35 seasons in 15 years, and I am giddy like a schoolgirl and excited about what’s happening, you have to be as a viewer.